It’s one of the reasons we love Britain so much…because of her beautifully orchestrated ceremonies full of pomp and circumstance. 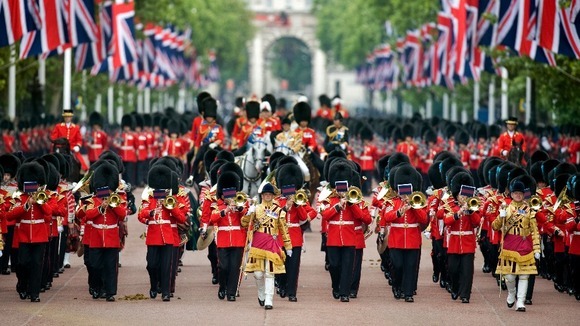 Today Britain shall celebrate The Queen’s “Official” Birthday with the Trooping the Colour ceremony. 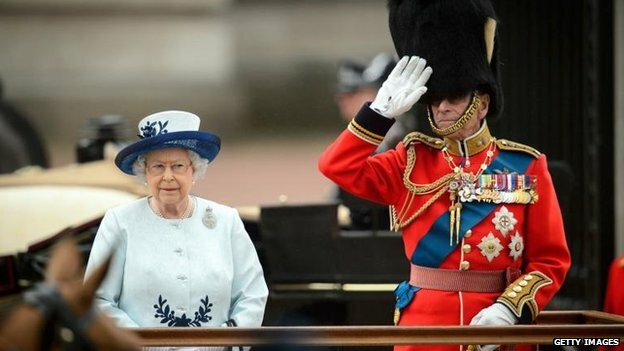 Although The Queen was born on 21 April, it has long been the tradition to celebrate the Sovereign’s birthday publicly on a day in the summer, when good weather is more likely. 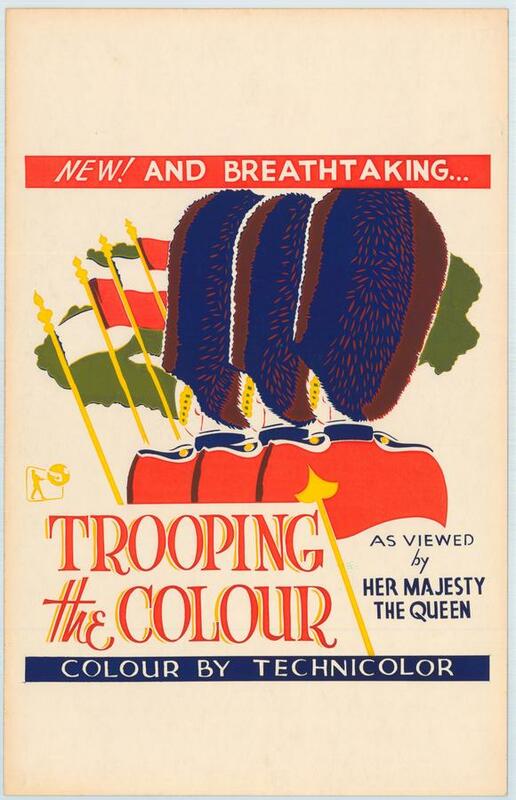 Trooping the Colour marks The Queen’s official birthday and takes place on Horse Guards Parade by St. James’s Park, and also coincides with the publication of Her Majesty’s Birthday Honours List. The Trooping the Colour is a ceremony performed by regiments of the British and Commonwealth armies and carried out by fully trained and operational troops from the Household Division (Foot Guards and Household Cavalry). 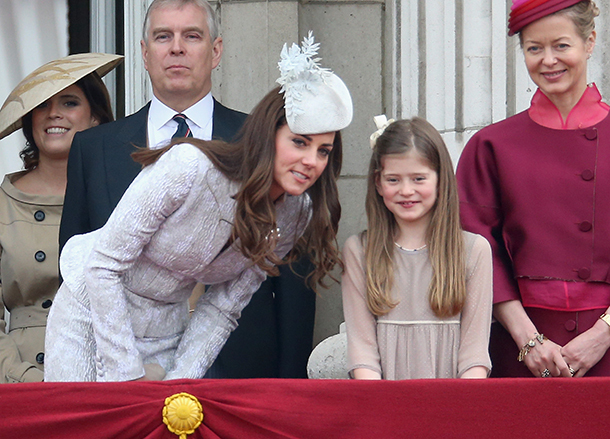 The ceremony is watched by members of the Royal Family as well as invited guests and members of the public. 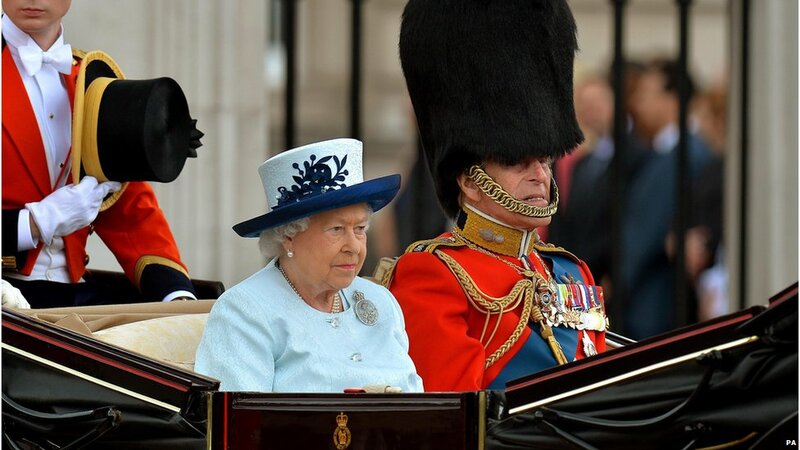 Her Majesty inspects the troops. 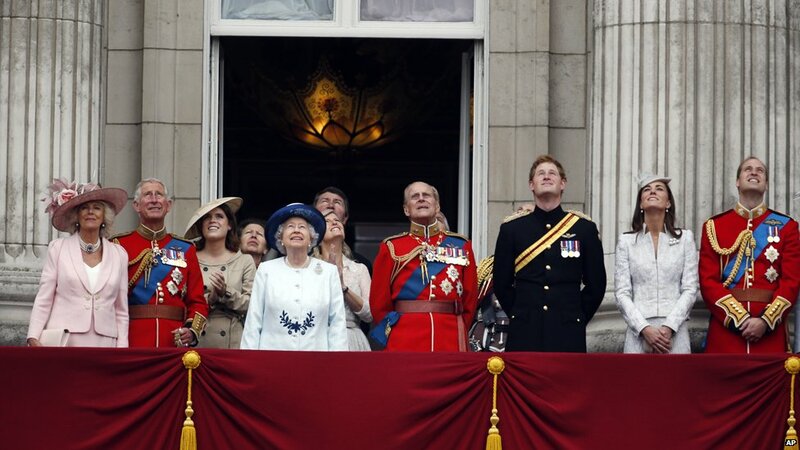 Her Majesty then joins other members of the Royal Family on the palace balcony for a fly-past by the Royal Air Force. 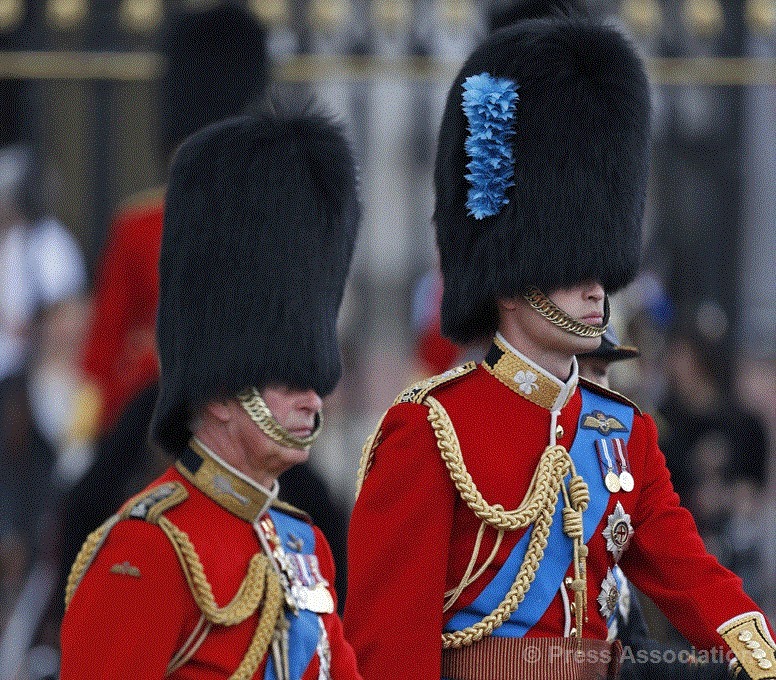 Rumor has it, Prince George might make his FIRST Trooping appearance at today’s ceremony! 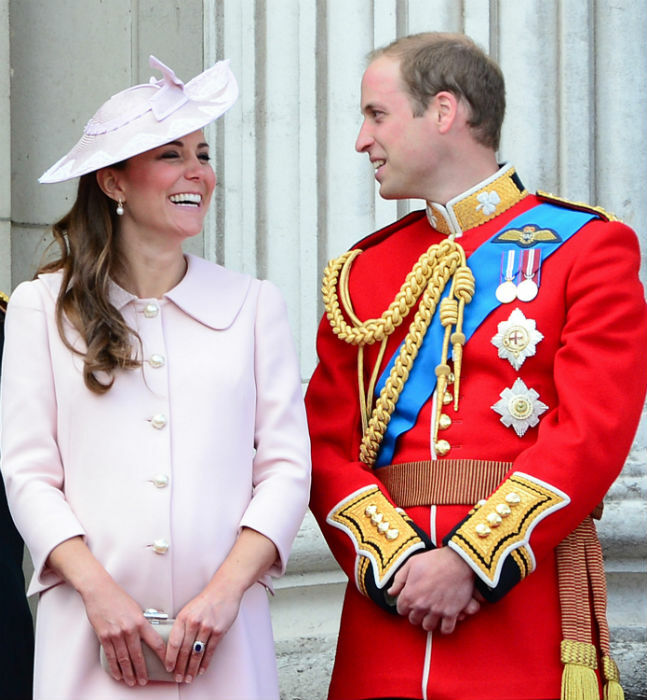 Remember, Catherine the Duchess of Cambridge was expecting at last year’s Trooping ceremony. We will continue to add pictures to this blog post as they become available today. So check back! 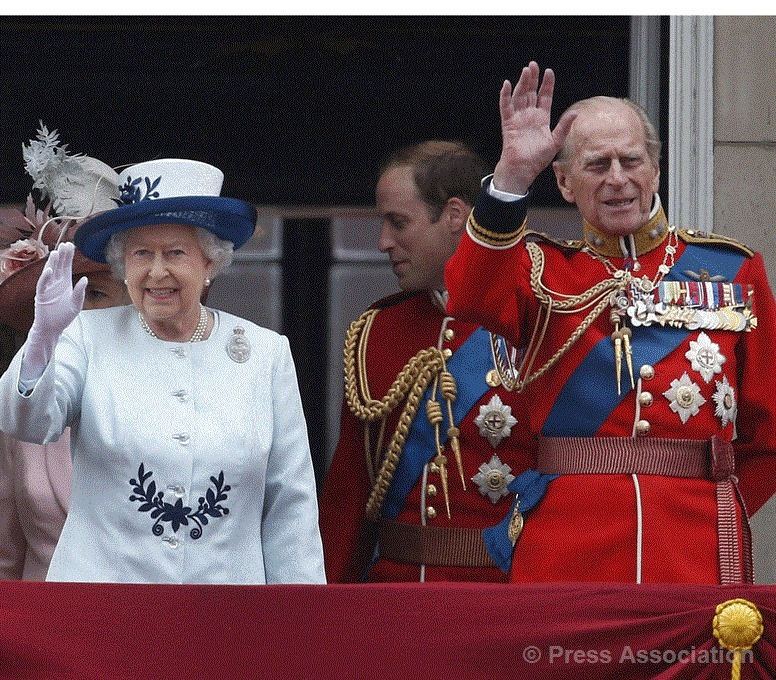 The Queen and The Duke of Edinburgh wave to the crowds from the balcony of Buckingham Palace following the Trooping the Colour parade, 14 June 2014. 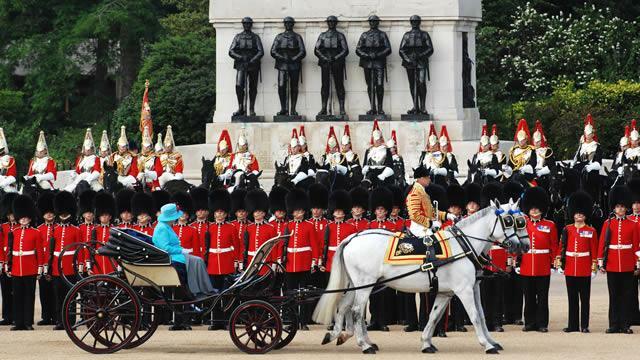 The Queen, accompanied by the Duke of Edinburgh, arrived at Horse Guards Parade in an Ascot Landau carriage. It left Buckingham Palace for the drive along The Mall. 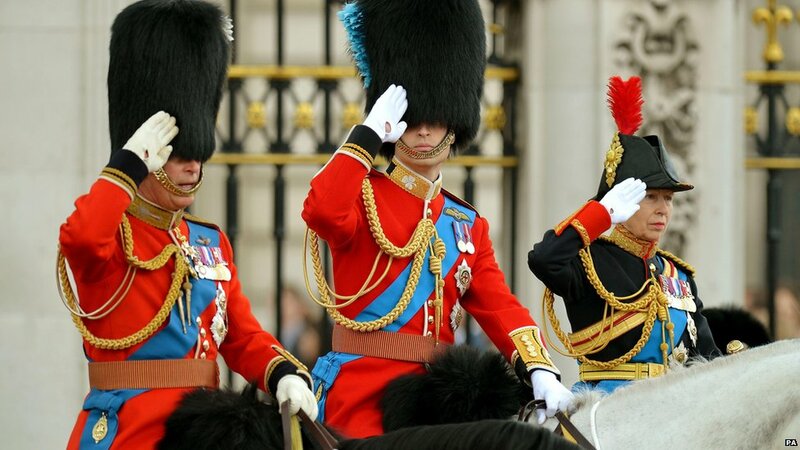 The Prince of Wales, The Duke of Cambridge and the Princess Royal saluted as they left Buckingham Palace on horseback to attend the ceremony. 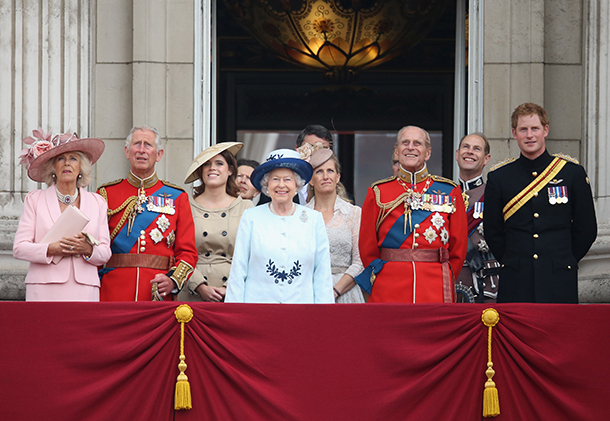 The Royal Family appear on the balcony of Buckingham Palace following the annual Trooping the Colour parade which officially marks The Queen’s birthday, 14 June 2014. 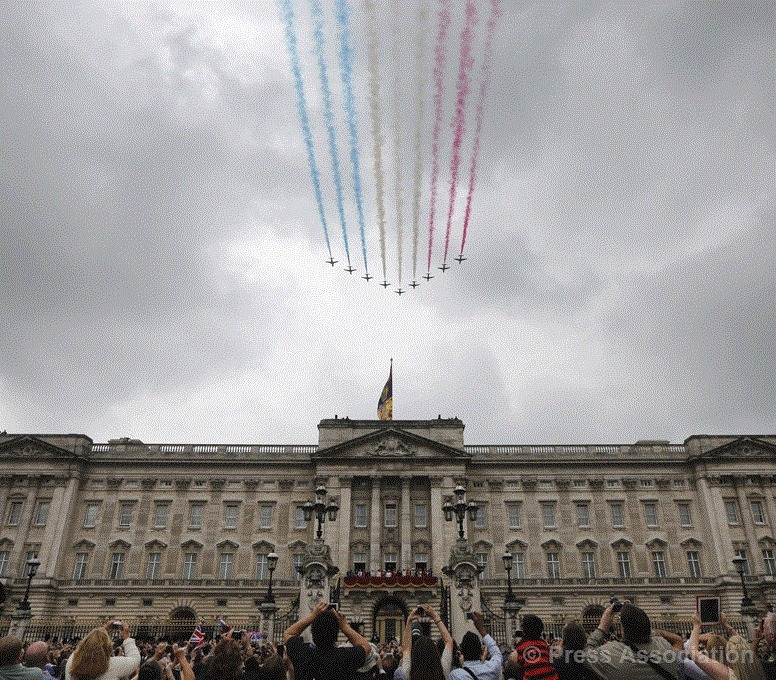 Royal Air Force Red Arrows fly past Buckingham Palace during the Trooping The Colour parade to officially mark The Queen’s birthday, 14 June 2014. Alas, Prince George did not make an appearance today as the Duke and Duchess of Cambridge as they felt he was still a bit too young. Perhaps next year? Here Catherine talks to young Estella Taylor, daughter to the Queen’s first cousin once removed Lady Helen Taylor. This entry was posted in Home Page Posts, Rule Britannia! 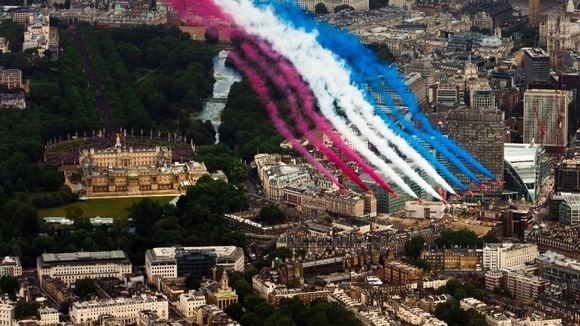 and tagged The Queen's Official Birthday, Trooping the Colour. Bookmark the permalink.